The Air Force Museum is open every day (except Christmas Day, 25 December) from 10.00am until 5.00pm. Entry to the Museum is free - but donations are always appreciated! 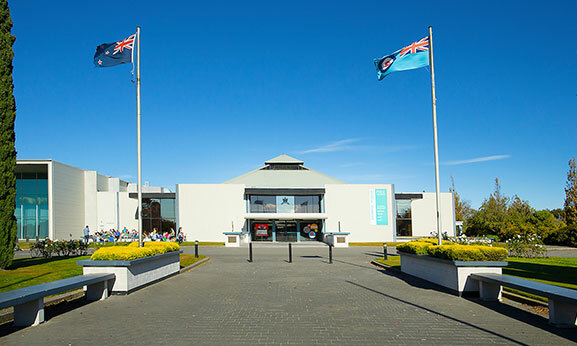 The Air Force Museum of New Zealand is located in the suburb of Wigram in Christchurch, New Zealand, just a short 15 minute drive from either the CBD or the airport. Plenty of free parking is available at the front of the Museum. The 80, 100 and Yellowline buses travel down Main South or Springs Road. Get off when you see the orange and silver Harvard aircraft on a pole, then walk for 200m down Harvard Avenue. If you get off at the bus stop on Springs Road around the corner, walk down Henry Wigram Drive, past Wigram Base (former RNZAF Officers’ Mess), until you get to Harvard Avenue. The Museum is straight across the road. For more information about planning your journey to the Museum, head to the Metro Bus website or contact us directly. With regularly changing themes and challenges, our hunts are a fun way for families to explore the Museum together.